Wonderful, tasty and unique. 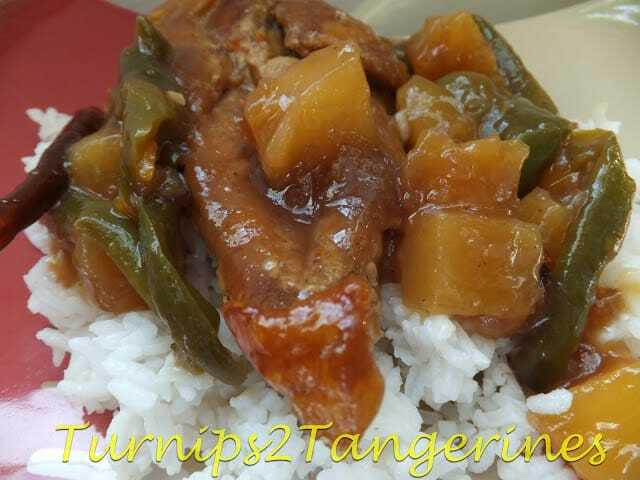 Sweet and Sour Baked Chicken is a blend of tasty ingredients not always used in traditional sweet and sour chicken recipes. Ingredients such as jelled cranberry sauce, brown sugar, orange marmalade, orange juice and dried red peppers. Serve baked sweet and sour chicken with extra long grain rice. Recipe follows. This recipe can also be made using pork. Substitute cubed pork tenderloin, chops or loin for the chicken. 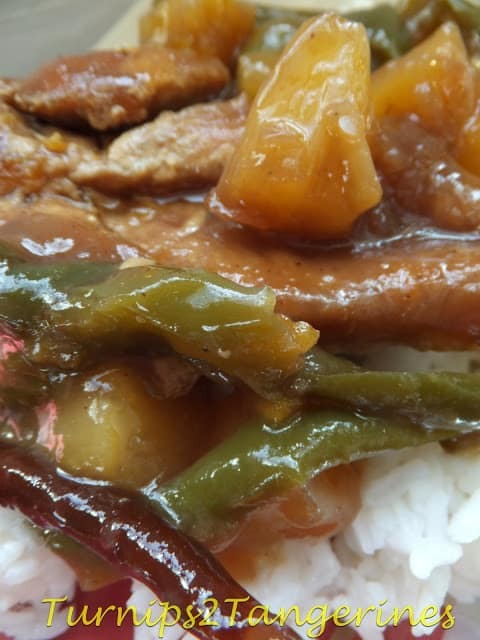 In this recipe you will also find the usual cast of characters if you will, that are often included in Sweet and Sour Chicken. Pineapple chunks, green pepper strips, and rice wine vinegar. This recipe leans more towards the sweet than to the sour. Depending on how you like your sweet and sour chicken you may want to add more vinegar to this recipe. Upwards to a 1/4 cup of rice wine vinegar should be sufficient. Sprinkle chicken lightly with salt and pepper. Heat oil in skillet over medium high heat. Add chicken and cook about 5 minutes on each side or until browned. If necessary, brown chicken in batches. Transfer chicken to a 3-quart rectangular baking dish. Drain pineapple well, reserving 2/3 cup juice. 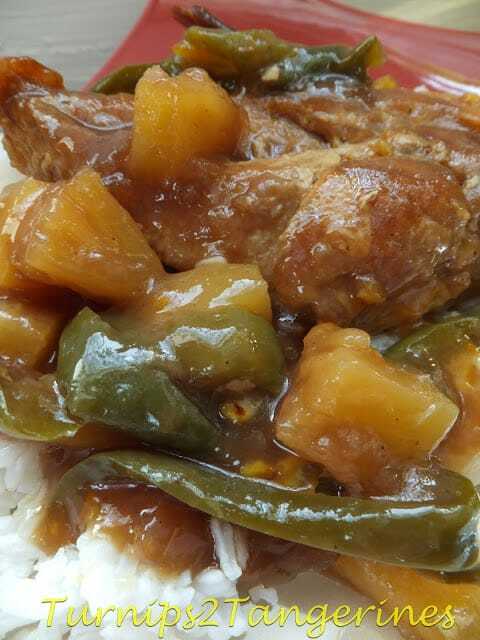 Spoon pineapple chunks and green pepper strips evenly over chicken in dish; set aside. For sauce; in a medium saucepan whisk together the reserved pineapple juice, the cranberry sauce, cornstarch, brown sugar, orange marmalade, orange juice or water, soy sauce, rice wine vinegar, dried red peppers and ginger. Cook and stir over medium heat until thickened and bubbly. Pour over chicken, pineapple and green pepper in dish. Bake, covered in a 350º oven for 45 minutes. Uncover, bake 15 minutes longer. Make rice: In a 2-quart saucepan, combine rice, water, salt and oil or butter. Stir lightly: bring to a rolling boil and reduce heat to simmer. Cover with a tight fitting lid and simmer for 15 minutes. Remove from heat; let stand for 5 minutes. Bean and Beef Enchilada Bake is another sensational casserole or ‘bake’ that you’ll want to make. Take a trip around the world in recipes. Love everything about this recipe! It looks scrumptious, Lynn 🙂 Thank you for sharing at ALL MY BLOGGY FRIENDS ! This sweet and sour chicken looks so good. I have not made anything sweet and sour in a while, I am going to have to now! I've never made Sweet & Sour Chicken and I love it. So first thank you for the recipe. I love that it's baked, sound absolutely delicious. I'm sharing it on twitter and pinned it. Thank you for linking up to my party. See you next week. This looks so tasty! I love Chinese! Thanks for sharing at Show Me Your Plaid Monday's! This looks delicious! Thanks so much for sharing at Tuesday's Table! Now that's what I'm talking about. Healthy and delicious recipe. This looks so good to me. Great pictures. I have to make this. Lynn, this is a pretty dish–I like the colors, especially against the rice. Thank you for linking this week! I've never tried cranberry sauce in sweet and sour chicken! Sounds so good!